An Alfa Romeo Classic Car Key, for cars manufactured between 1955 and 1995 cut to number or photo. Models include: Giulia, Giulietta, 1750, 2000, 2600, GT Junior, Montreal, Alfetta, GTV, Arna, Duetto, 75, 90, Alfasud, Spider, 33, 164, SZ Coupe, and 155. If you have your key number, please fill in the details on the checkout page. A key blade to fit Alfa Romeo key remotes, cut to the locks on your car. Models include: 147 2000-2008, 156 1998-2003, 166 1998-2004, Mito 2008 on, Spider 2006 on. The key number is likely to have the prefix DE followed by 5 numbers, e.g. DE10374. 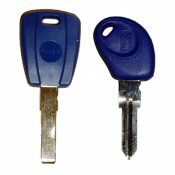 If you do not have this number we can cut your key from a clear photo of your original key. Please enter your key number or upload your photo at the checkout. A car key for Alfa Romeo cars cut to number or photo. This key will open the doors and turn the ignition, but it will not start the engine. Models include: 145 1995-2001, 146 1995-2001, 147 2000-2008, 155 1995-1998, 156 1998-2003, 164 1995-1997, 166 1998-2004, GTV 1995-2005, Mito 2008 on, Spider 1996 on. The key number is likely to have the prefix DE, V or W followed by 4 or 5 numbers, e.g. DE10374. 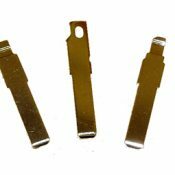 If you do not have this number we can cut your key from a clear photo of your original key. Please enter your key number or upload your photo at the checkout. A single Alfa Romeo key case, with the key blade cut to a photo supplied by you. 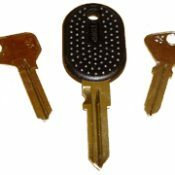 This key case will accept the electronics from your original key, so all you need to do is swap the electronics over and the key will work without the need for any reprogramming at a dealer. PLEASE NOTE: This item does not include the circuit board or transponder chip. Note: This is given as a guide only, if you have any queries regarding compatibility please contact us.